What can you say about your grand-grand-grand-grand-grand-father? Could you quote him? Is anything left of him in the traditions of your family? We have to admit, we know nothing of our grand-grand-grand-grand-grand-fathers. But Anne Trimbach does. She is the oldest daughter from the youngest generation of this amazing wine family from Alsace, France. 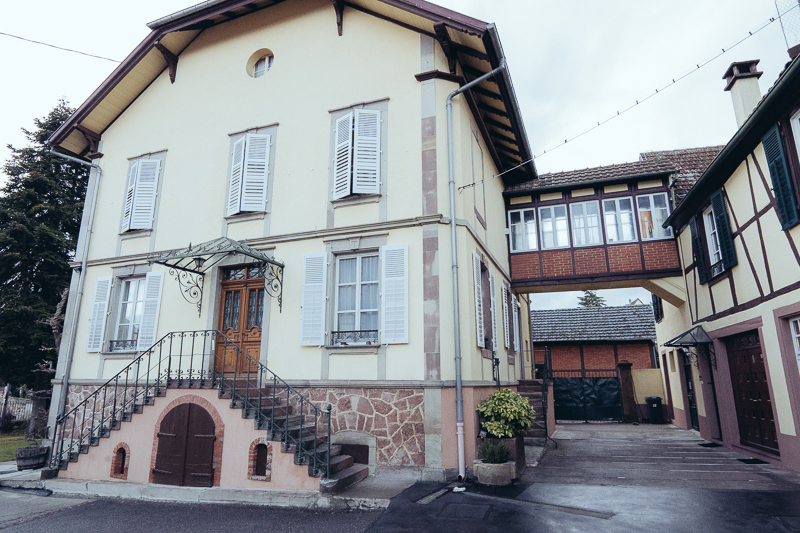 Today, the winery is run by Hubert Trimbach, his nephews Pierre and Jean, and Pierre’s daughter Anne. Four great people from three different generations manage the business together. And when you talk to them, you don’t get the feeling that this could ever change. The knowledge is directly handed over to the next generation – unrivalled expertise. This is how it was for centuries, since 1626 to be precise. And also for centuries already, Trimbach is world famous. Especially for their fantastic Rieslings. Roughly 50 percent of the production is Riesling followed by Gewürztraminer and Pinot Blanc. The wines will be on the market whenever the family says that they are ready. Might be three years after the have been put into the bottles, might be six. “Depends on the specific wine”, Anne says. 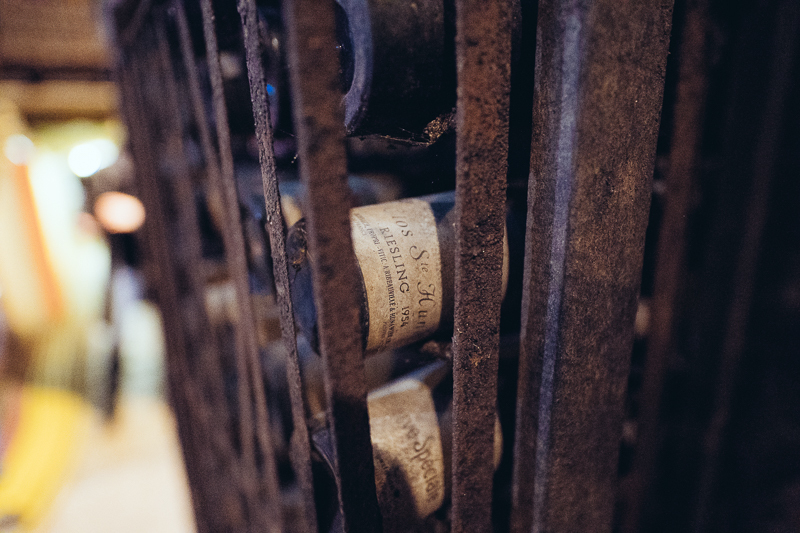 That is why the family built up the capacity to store millions of bottles at the winery. Giant halls filled with sleeping beauties. As a result, when you buy one of their great wines it will definitely be ready for enjoyment. This family has inherited the love to aged Riesling wines – from one generation to the next. Top quality Riesling can develop many years. It gets better every year. Wine lovers know that. That is why Riesling enjoys a global hype. But 30 years ago not many people appreciated an aged Riesling. The few people who did, could hardly find any. Most German winemakers that do amazing GGs today were not able to offer any high-quality dry Riesling back then. But Domaine Trimbach always did. You will know what this means when entering the amazing wine library below the famous Trimbach building in Ribeauvillé. Fantastic reserves of hundreds of bottles from the last 60 years. One is better than the next. Anne had to pull us out of these beautiful halls into the tasting room. All this tradition and focus on quality has made Trimbach famous around the world. Their wines are served at unbelievable occasions. You want to get examples? Sure. You know what Barack Obama was drinking when he was awarded with the Nobel Peace Prize in 2009? A Trimbach “Frédéric Emile 2004”. When Crown Princess Victoria of Sweden married in 2010 it was another Trimbach “Frédéric Emile 2004”. And when her sister Princess Madeleine married in 2013 it was a Trimbach Vielles Vignes 2009. We could go on and on and on…. Our line up at Trimbach. 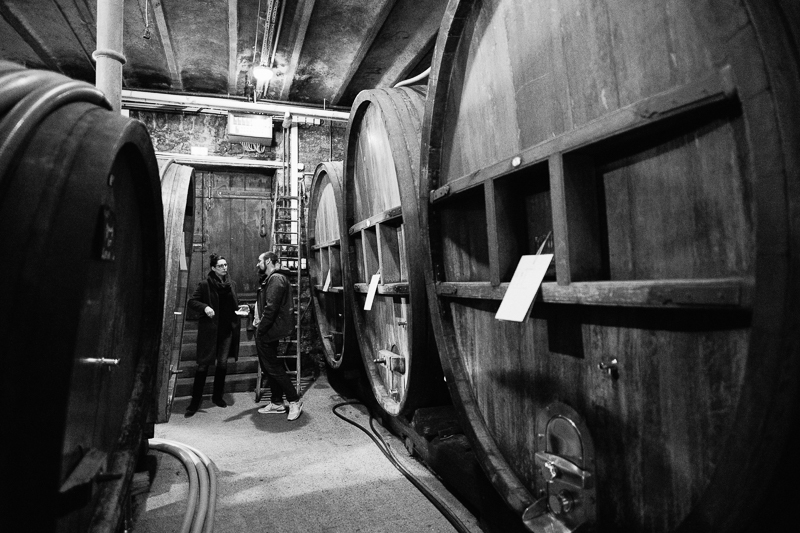 Part of the great success of Trimbach is definitely the famous Clos Sainte Hune – a jewel vineyard in Hunawihr. A wine we will always love. 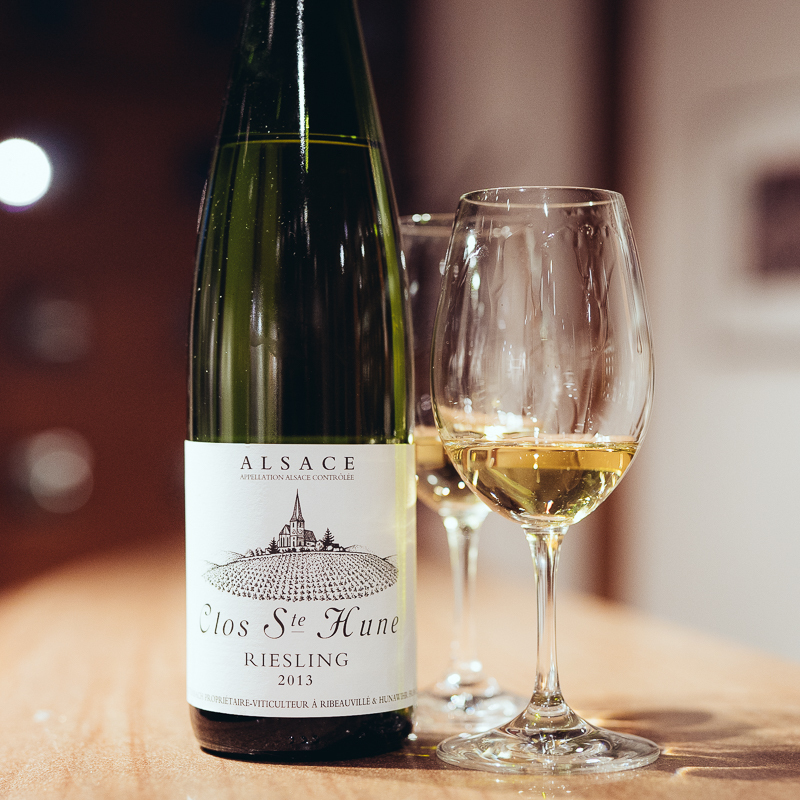 Bottle after bottle you can taste the great winemaking tradition and the fantastic typical style of Trimbach – but when the Clos Ste Hune was in our glasses again we started dreaming. 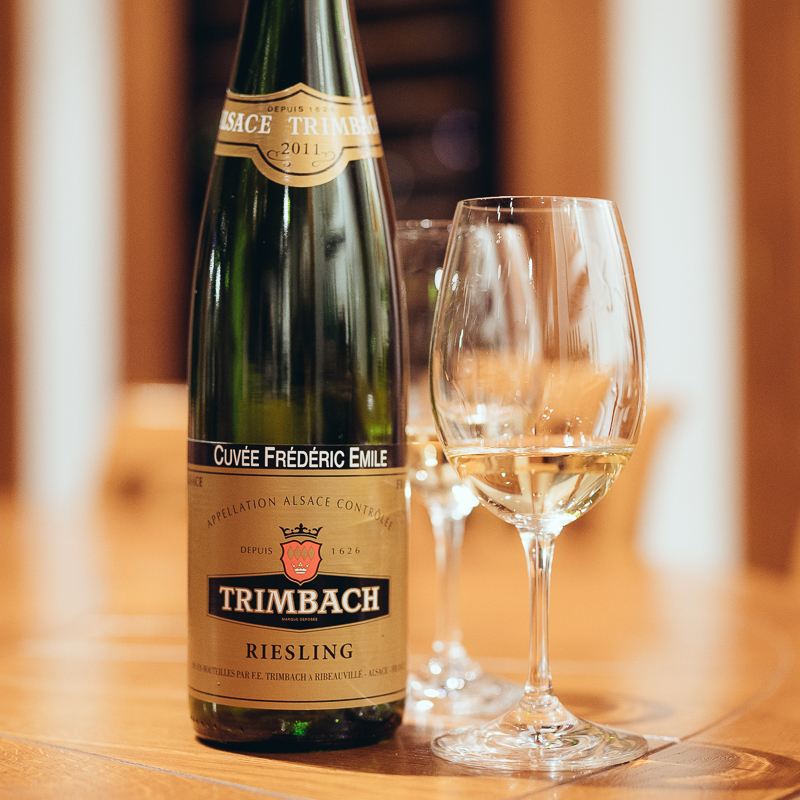 While we move on – check our tasting notes of the Trimbach Riesling by following the link to our tasting notes above.